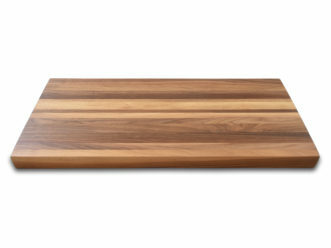 Our wooden cutting boards are of the highest possible quality. They are thick, heavy and come in varies sizes. We offer two standardized sizes, as well as a custom size offer. 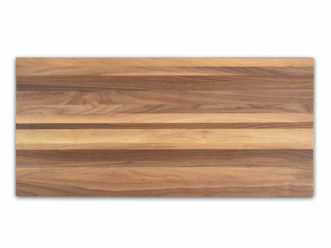 Currently we offer walnut wood cutting boards only, but we will add maple as well. Our cutting boards are hand made in Quebec, Canada. The utmost dedication and energy is given into the production of each board. Because we currently produce each board after the order has been placed, please allow a delivery time of two weeks.